There are many businesses and government services in Wilcannia that are located in historical buildings. Some are not so obvious -- such as the Wilcannia Golf Club which today partly comprises the original Resche's Brewery, the first beer brewery the Resche brothers built in Australia. 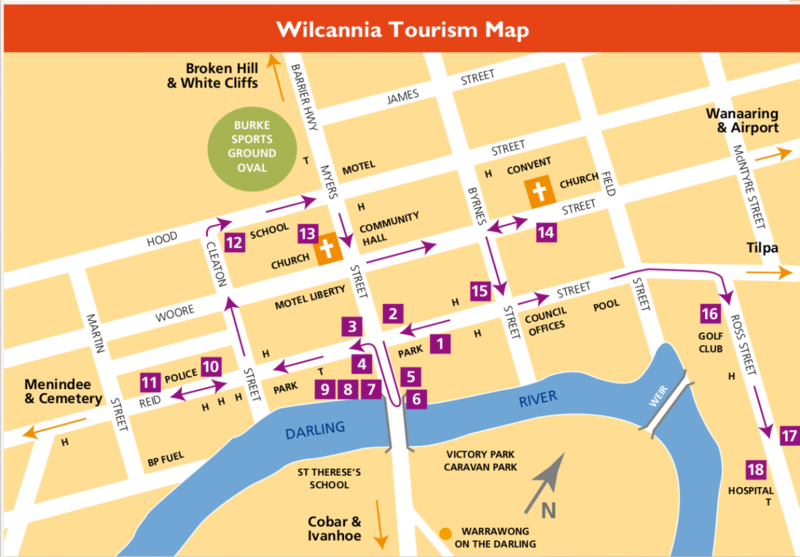 Wilcannia was first settled by Europeans following the exploration of the Darling by Major Thomas Mitchell. The rest stop on the Barrier Highway on the Cobar side of town, commemorates one of his survey points. The original settlers were pastoralists who took up “runs” that were millions of acres in size. Wilcannia is in the area that is the homeland of the Barkindji people. “Barka” being their word for river. The Barkindji was a group of tribes that ran the length of the Darling River from Bourke to Wentworth. A shepherds hut and a woolshed, which were part of the Mt. Murchison run stood where Wilcannia now is. There are many beautiful stone buildings in Wilcannia, built during the 1800s.